We love to road trip around the US. 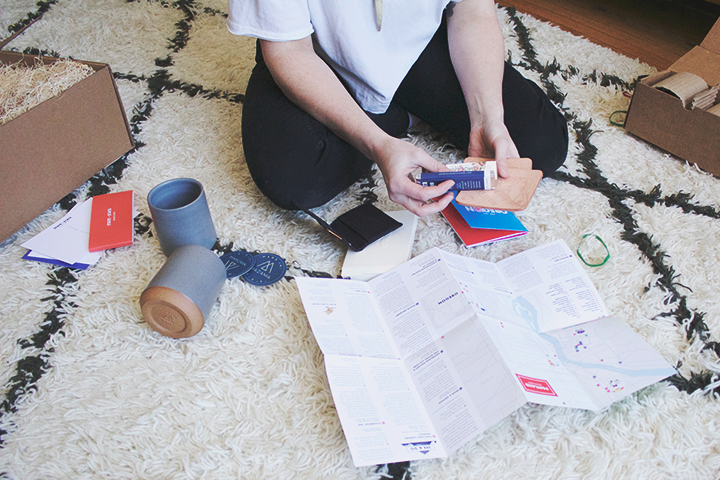 When we're headed to a new city, we'll spend a ridiculous amount of time in the planning phase - researching where the townies eat, getting recommendations from friends on where to grab a drink, and scouring Instagram for cool boutiques and local makers. Don't get us wrong, we enjoy some good touristy sight seeing, but we really love to get a true sense of what's happening in a community. It's all part of the adventure and travel experience. Luckily the folks at State x State plan their vacations the same way and have made traveling like a cool kid easy. 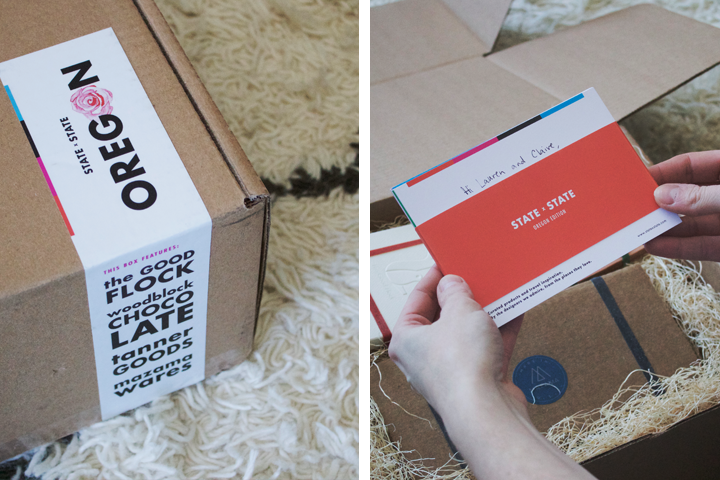 This online platform helps you discover well-made products, talented designers, and tips for how to travel the 50 states like a local (with great taste). They've connected with makers, artists, and tastemakers from around the country who have weighed in on their favorite spots in their own backyards. State x State's travel and product guides put you in the know on where the locals are enjoying the best craft cocktails or late night tacos and give you the inside scoop on up and coming designers, makers, and artists. We've been dying to take a trip out to the Pacific Northwest. 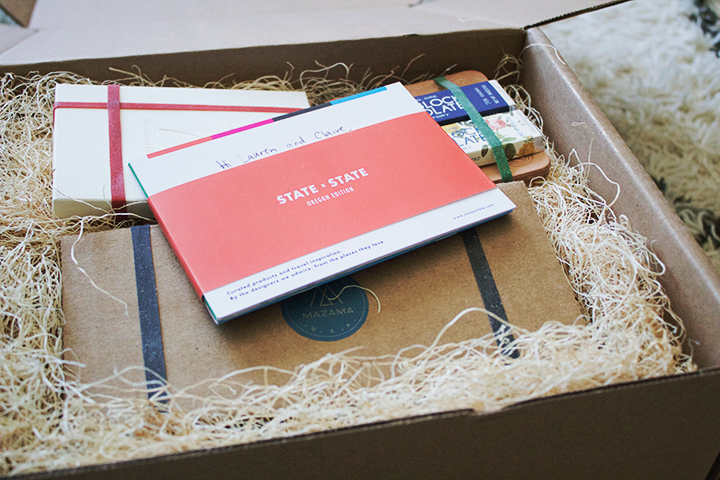 State x State was kind enough to send us an Oregon Gift Box to give us a little taste of the region. 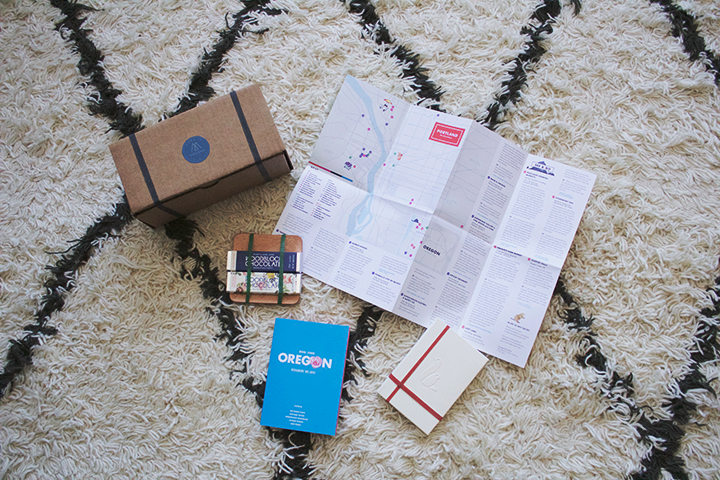 We had such a good time digging through the Oregon Gift Box. 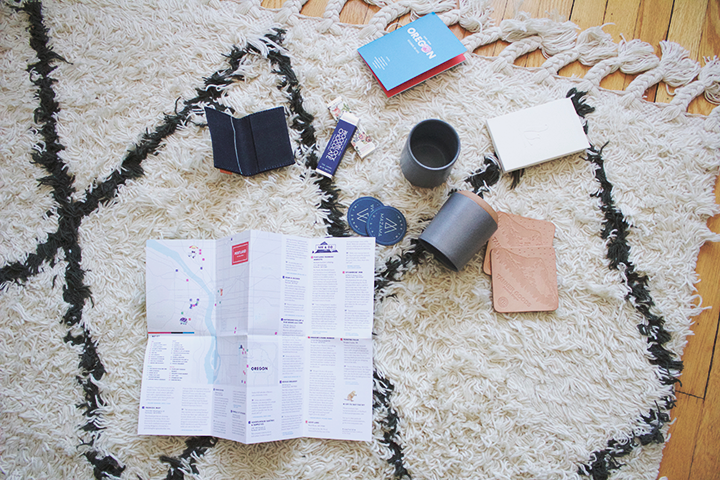 All of the products are from Portland makers, because duh, Portland. 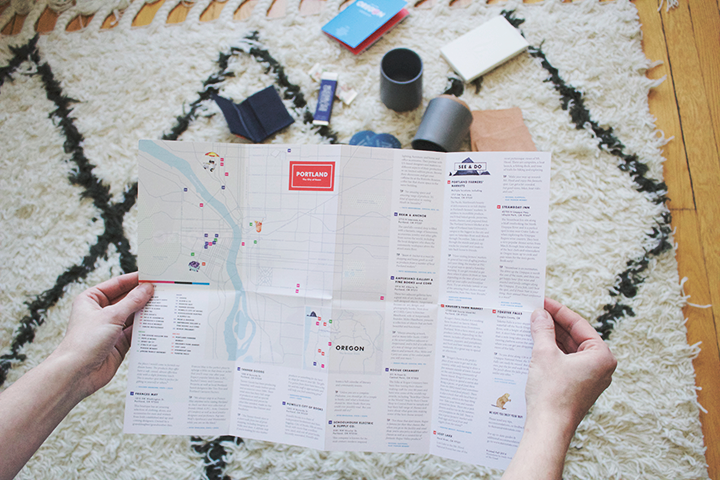 Reading through the map travel guide got us super excited to start planning our Pacific Northwest vaycay. Now have a jumpstart on all the cool places to eat, drink, shop! 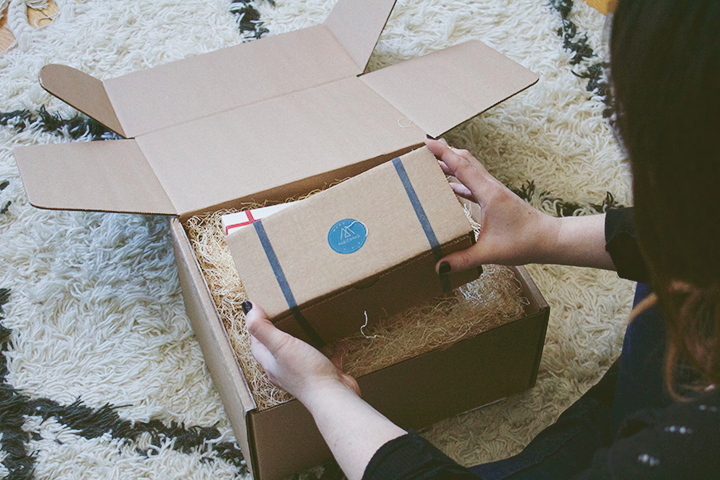 You can get your hands on other State Gift Boxes here. 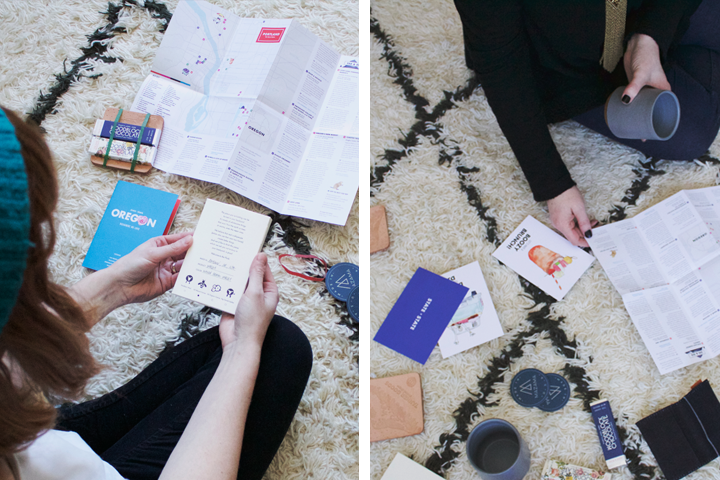 State x State just introduced their Illinois travel guide and they asked us to share our favorite spots in Chicago. Check out where we love to eat, drink, shop, and hang out here!